What a difference three years can make. Not in Calvin Key’s guitar playing – that was just fine on the last record – but in clarity of vision, compositional skills, and leading a band, this second effort for Black Jazz is light years beyond the first. While there is nothing wrong with that record, it sometimes sounds like a rudderless musical ship. From the slow opening arpeggiated chords of the opening title track, this outing sounds confident and assured, and we immediately feel like we are about to hear something important, something different. The band is also extraordinary this time out, especially Kirk Lightsey’s electric piano contributions. I had issues with the rhythm section on his first record; this time it is held down by none other than the mighty Ndgugu Chancelor on drums, and bass is handled by Henry Franklin, who was also a recording artist for Black Jazz. The ensemble manages to create an atmosphere here that both challenges the listener to explore new territory while maintaining a comforting warmth, free of the academic exercises or existential wrath that often clings to the (intentionally) difficult listening corner of your jazz collection. Hell I guess that description could apply to the entire Black Jazz oeuvre, now that I think about it. 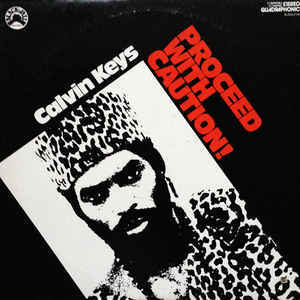 Like the leopard who gave his skin for Calvin’s outfit on the front cover, the sound is lean and graceful, but capable of menace and of quickly disposing of anyone who gets in its way, so be glad you are encountering it after it already had lunch. And what about that ugly front cover? Strangely the original vinyl seems to have been issued with a different front cover than the CD, and it is substantially better. The unfortunate reissue cover departs from the usual stylishly monochromatic Black Jazz sleeves that feature photographs of the artists. The title is in red ink, and off the top of my head I can’t think of any others in the catalog like that. I picture Calvin in label owner Gene Russell’s office: “Okay Calvin, we can put the title in red, make it stand out real good, but then we can’t afford a professional photo of you. Life is a series of compromises, my man. Here, let me just sketch you real quick on this napkin.” Later, Russell relented, told him they could keep the red ink and called their usual photographer to come around and capture Calvin, who looks suitably dour after all the mind games, but for some reason the 2005 reissue chose to use the previously unissued “napkin draft” for the cover. Oh dear, it seems I’ve lapsed into one of my fanciful digressions again, hold on, let me get some coffee to snap out of it… Meanwhile here is the original. There, that’s better. And the coffee is good too, strong and fresh. 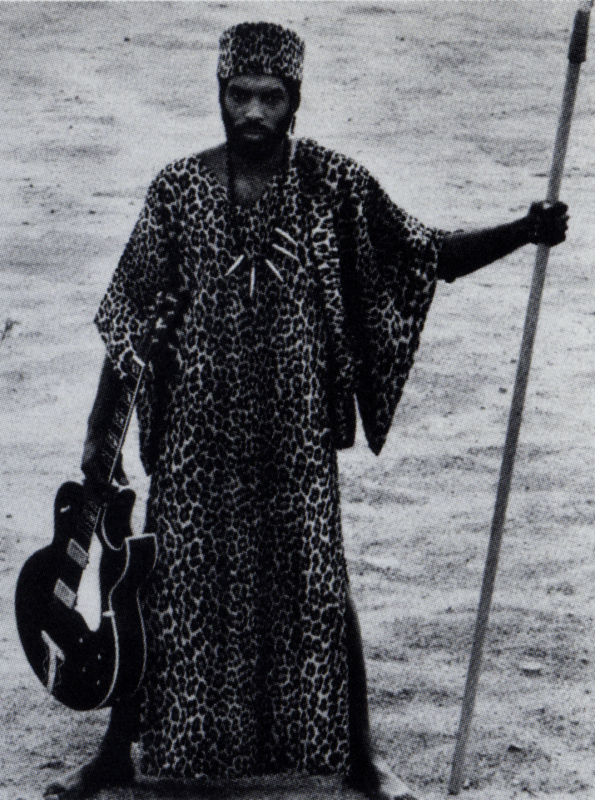 The momentum builds slowly on the first two tracks, where an unhurried pace gives way to urgency, like a dashiki-wearing Orpheus leading us into our sonic collective unconcious is telling us “be cool, but hurry up a little.” The second number, Trade Winds, is authored by David Durrah, with whom Calvin made an album called Angelic Streams around this time that went unreleased for decades (and which I haven’t heard yet). The third cut, Efflugence, introduces Brazilian jazz-bossa rhythms, absent from Keys’ first record but appearing here on several compositions. The fourth track, Aunt Lovey, is the funky woolly mammoth lumbering through the center of this album that might be the moment, if you were not already converted, when you decide that this record has something special going on. Seven and a half minutes of crackling, snapping, and popping jazz-funk. The central riff is elongated into something that is gravity-defying in terms of funk physics – it shouldn’t work but it most definitely does – and a searing soprano solo and distorted electric piano assault push the piece into epic territory. It’s a good thing Calvin is still wearing his leopard threads, and armed with a spear, or this beast might have trampled all over the lot of them. The next piece, Renaissance, begins with gentle meandering, but soon slips into a thick, bulging pocket full of groove in septuple meter. Angular 7/4 time signatures beg to be resolved into something less lopsided, but this one doesn’t relent, daring you to embrace the disorientation as your reality. It’s consciousness-changing, you dig – this track is the jazz crucible in Calvin’s alchemical laboratory, so let him purify your essence. You’ll feel better afterwards, I promise. And as our reward for enduring that transmogrification, the record is capped off with the beautiful lyricism of “Night Cry”, which again invokes Brazilian soundscapes, remembered or imagined. There goes fifty minutes, a generous length for an album in 1974, that accounts for one of the stand-out entries in the impressive Black Jazz catalog. Also, whereas the reissue of his first album sounded terrible, this one is very nice. Listen with headphones and it is obviously sourced from vinyl, so ignore the propaganda about a transfer from the 2-track master on the CD back cover. I have given up on the notion of ever owning original pressings of these albums, as I am currently one of many people with an advanced degree that nobody needs (did you think the “Doctor” part of Dr.Vibes was just a playful embellishment on the new website? Think again, dear reader!). Thankfully I didn’t incur any debt or even spend a dime on the fancy education, but the likelihood of my acquiring this album or any other original Black Jazz titles is pretty slim unless I win the lottery, people start actually making donations to the blog, or I happen to wander into a charity thrift store after some dead hep cat’s relatives drop off his record collection without bothering to see what’s in it. I don’t see any of those scenarios in my crystal ball, but then again, stranger things have happened in my life. In the meanwhile, reissues are where it’s at. Thank you for your nice blogging, good music and good write-ups. I was just enjoying Shawn-Neeq and thought I’d better come back and thank you… and now here’s this! So I”ll add to my Thank You a shout of joy: OH HELL YEAH! 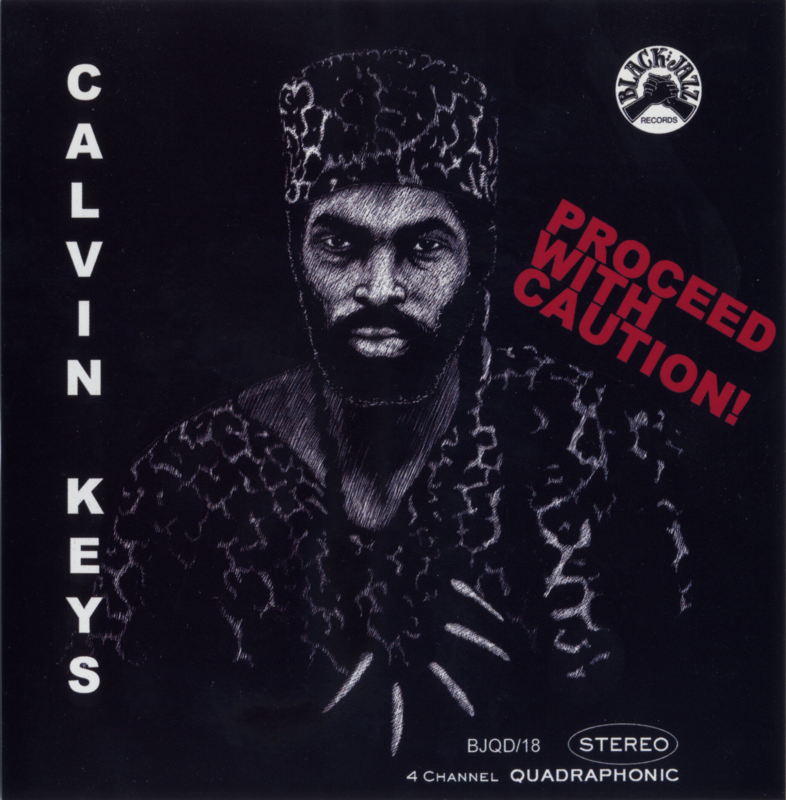 I was completely unfamiliar with Calvin Keys. I’m learning a LOT from your blog–thanks! Thanks so much. Such an interesting label. Always worth exploring. Congrats on the degree, Dr. Vibes! Thanks once again so much for your sharing and terrific write ups. And hey, the black jazz records don’t exactly command DR-ICQ-Shades of Blue prices, you can definitely come across them for reasonable amounts. I’ve even found a couple originals (not always in the best shape, admittedly) in dollar bins. Feliz Ano Novo! Really hope your blog continues in 2017, we will need bright spots in what promises to be a truly dismal year…in which the two countries will vie valiantly to see who can produce a more vile government.